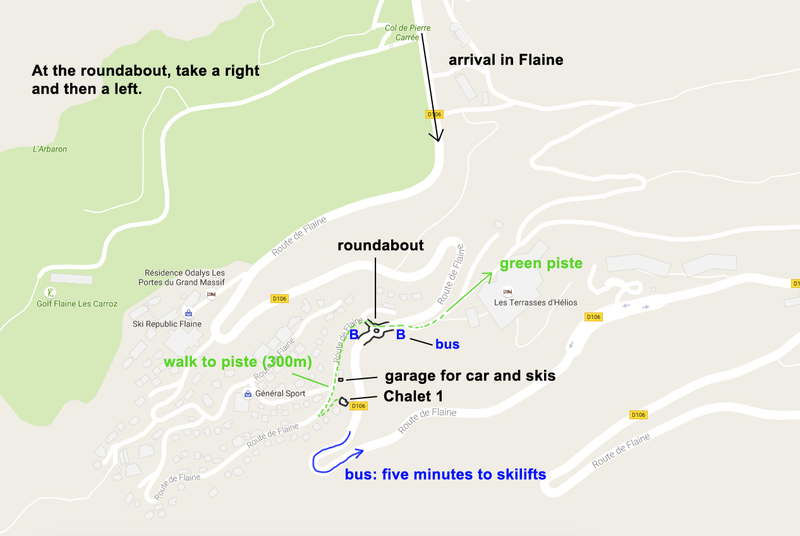 The following image details where to go when you arrive in Flaine, where the busstops are and how to get to the pistes by foot. 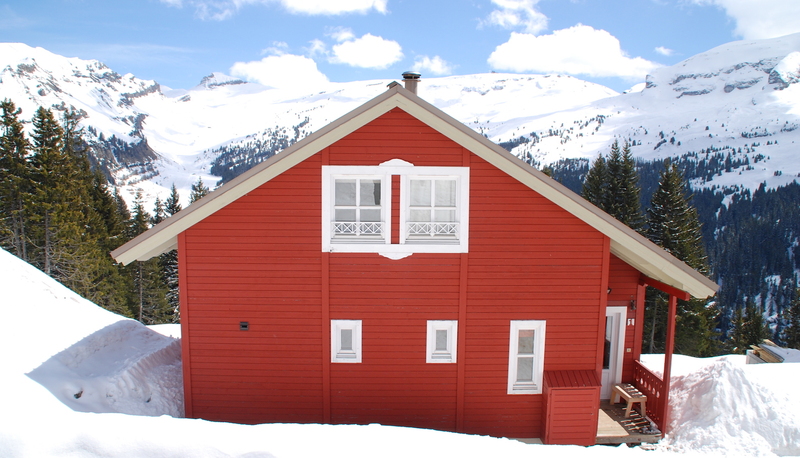 Chalet 1 is located at 1 Route de Flaine, Flaine. The coordinates are 46.0081073/6.6745386,16.